Alexander Dumbadze is assistant professor of contemporary art at George Washington University. He is president of the Society of Contemporary Art Historians and a cofounder of the Contemporary Art Think Tank. He has written essays for a number of international exhibition catalogues, and is a recipient of the Creative Capital| Warhol Foundation Arts Writers Grant. His book Bas Jan Ader: Death is Elsewhere is forthcoming in 2013. Suzanne Hudson is assistant professor of contemporary art at the University of Southern California. She is president emeritus and chair of the executive committee of the Society of Contemporary Art Historians and a cofounder of the Contemporary Art Think Tank. In addition to her work as an art historian, she is an active critic whose work has appeared in international exhibition catalogues and such publications as Parkett, Flash Art, and Art Journal; she is a regular contributor to Artforum. 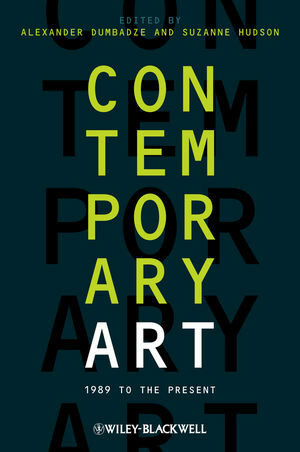 In 2009 she published Robert Ryman: Used Paint, and Painting Now is forthcoming in 2013.